'12 Years A Slave' Leads To Correction Of 161-Year-Old Story : The Two-Way In 1853, The New York Times reported about Solomon Northup's enslavement. The movie about his life won a best picture award on Sunday. That's when the Times' misspelling of Northup's name turned up. 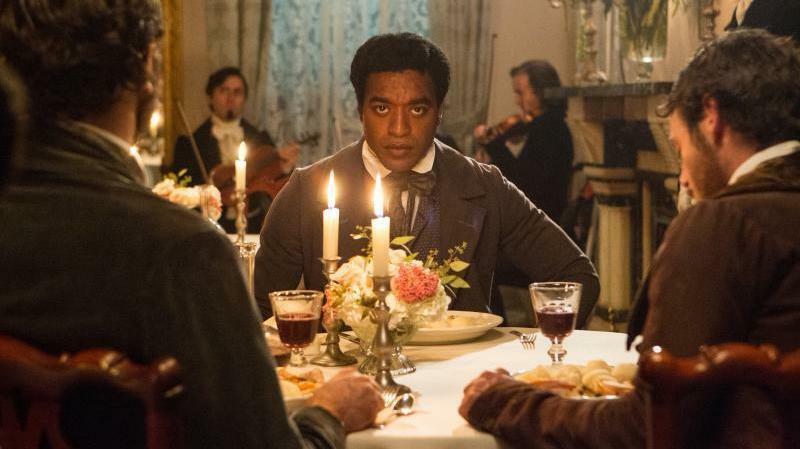 In Twelve Years A Slave, Chiwetel Ejiofor plays Solomon Northup, who was kidnapped and sold into slavery. Here's something of another victory for new media over old media. The New York Times on Tuesday corrected a 161-year-old report about the enslavement of Solomon Northup, after a Twitter user pointed out that the story had twice misspelled Northup's name — including in the headline. Northup is the Saratoga Springs, N.Y., man whose story is told in 12 Years a Slave — the movie that on Sunday night won an Oscar as 2013's best picture. The error was noticed, it would seem, after a sharp-eyed reader came across this PDF of the Times' Jan. 20, 1853, report about Northup. "An article on Jan. 20, 1853, recounting the story of Solomon Northup, whose memoir '12 Years a Slave' became a movie 160 years later that won the best picture Oscar at the 86th Academy Awards on Sunday night, misspelled his surname as Northrop. And the headline misspelled it as Northrup. The errors came to light on Monday after a Twitter user pointed out the article in The Times archives. (The errors notwithstanding, The Times described the article as 'a more complete and authentic record than has yet appeared.')" This is the second decision in recent months by a newspaper to correct an error made long ago. Last November, as we reported, The Patriot-News in Harrisburg, Pa., retracted an editorial written in November 1863 that had panned President Lincoln's Gettysburg Address. By the way, it looks like NPR.org has gotten Northup's name wrong at least twice — in posts by The Record and Code Switch blogs. We've alerted our corrections desk.